The Hepworth Family Gift at The Hepworth Wakefield01924 247360workArt GalleryThe Hepworth Family Gift, consists of 44 full size working models (surviving prototypes in plaster and aluminium made in preparation for the works in bronze Hepworth executed from the mid-1950s to the end of her career). It also includes drawings and a large group of lithographs and screen prints by Barbara Hepworth, and has been given to The Hepworth Wakefield, via the Art Fund, by the artist’s daughters Rachel Kidd and Sarah Bowness, through the Trustees of the Barbara Hepworth Estate. The Gift is central to the gallery’s permanent collection and the purpose-built spaces offer a full exploration of the prototypes for the first time. Coming directly from the Barbara Hepworth Estate, the Gift illuminates the artist’s working methods and creativity. Also in the Gift is a group of works by her artist friends, including paintings by John Wells and Breon O’Casey and ceramics by Janet Leach. Hepworth owned some ancient and primitive objects, including Neolithic and Cycladic works, which are also on display. The Hepworth Estate has worked throughout with David Chipperfield Architects on the design of the two purpose-built gallery spaces devoted to the Gift. The Hepworth Family Gift, consists of 44 full size working models (surviving prototypes in plaster and aluminium made in preparation for the works in bronze Hepworth executed from the mid-1950s to the end of her career). It also includes drawings and a large group of lithographs and screen prints by Barbara Hepworth, and has been given to The Hepworth Wakefield, via the Art Fund, by the artist’s daughters Rachel Kidd and Sarah Bowness, through the Trustees of the Barbara Hepworth Estate. The gallery is conveniently located 1 mile from Wakefield Westgate station and 0.3 miles from Kirkgate Station. 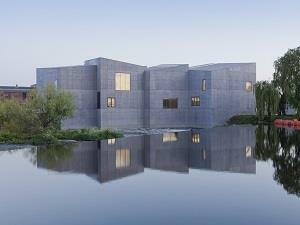 Please see the Hepworth Wakefield website for all the latest information on travelling to the gallery by car. The Pay and Display car park is located on Thornes Lane. The gallery is fully accessible, please visit the website or contact us for a full access guide. To arrange your group or coach party visit call us or email groups@hepworthwakefield.org to find out more about special packages for your group.